So you survived the year, now it’s time for the questions on ‘what you’re doing differently this year’ to roll in. While most of us set out with the intention of following through with our resolutions, the reality is that it’s not as easy as it seems. Here are some tips that you may find helpful to stick to your New Year’s Resolution. Keep it Realistic: While it is tempting to set a New Year’s resolution that is life altering, your resolutions have to take into account your current situation. If your New Year’s resolution is get into shape then you need to find the right diet and set aside some time each day to exercise instead of setting a goal weight loss number. As long as you follow your regiment, you will lose weight. And, isn’t that all that matters? Write it Down: Putting pen to paper is often the easiest way to separate resolutions you actually want to keep from the ones you don’t. It makes it more real. It also helps you keep track of your resolutions and gives you the satisfaction of striking out the ones you’ve completed. Baby Steps for the Win: A New Year’s resolution is the big picture image of where you want to be in 12 months. Big goals, while great, can often be intimidating and you may find it easier to break your resolution down to smaller steps. So if you’re New Year’s Resolution is to write a book, break your resolution down to writing 6 pages a day. And, voilà! You will have a book by the end of the year. Ask for Support: Following through on your resolution is hard work. You’re going to need all the support you can get. When you set your resolution, let your friends and family know so they can help you with the process, lend a ear, give you a shoulder to lean on and talk you through tough days. If your resolution is to give up smoking, call a friend or loved one when you feel like smoking. They can help remind you of why you decided to quit to begin with. 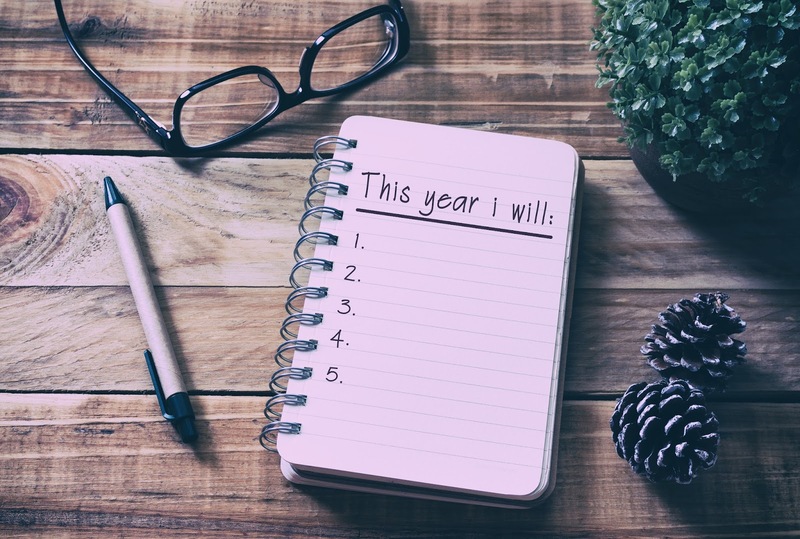 Spread your Goals Throughout the Year: Most people want to get through their resolutions as quickly as possible. Some even try their best to fit them all into January. So by the time February rolls in, they are burnt out and in desperate need to save resolutions from being forgotten forever! If your goals are big, they will take time and energy to attain. It may serve you best to spread them out through the year. That way you can still savour January for all its New Year goodness. All in all, the New Year is a great time to set goals. While they may take a little bit of hard work and a lot of commitment, they’re worth it! If one of your resolutions this year is to be in a new career, call us today to discuss how we can make it happen! We promise it’s a New Year Resolution you will want to stick to.